Brewers dreamed up the idea of breakfast stouts so they could combine a stout’s inherent chocolate-roastiness with subtle additions of coffee and maple syrup. Genius, right? One detail to note about breakfast stouts, though, is that they often pack a boozy wallop, somewhere in the 8 percent or above range. Sure, you could drink one for breakfast, but it’s going to limit your choice of afternoon activities. Eager to bring the breakfast stout to actual breakfast, I set out to bake muffins with it. I won’t pretend there wasn’t a bump or two along the way as I tweaked the ingredients and proportions into muffins that weren’t just edible, but evoked the combination of cocoa, coffee, and quiet sweetness that make breakfast stouts sing. This version gets it all right: not too sweet, not too bitter, and with a level of decadence that’s true to the “breakfast stout” name, but doesn’t taste like a morning cupcake. Chefs will often say you shouldn’t bake or cook with alcohol that you wouldn’t drink, and that goes doubly for this recipe. It only calls for a cup of stout, so you’re going to have plenty left over for sipping. I used Brigadeiro Breakfast Stout, an oatmeal stout with coffee, lactose, and chocolate from Springdale, a division of Framingham, Massachusetts’ Jack’s Abby Brewing. Believe me, I was glad to have those leftover ounces. Preheat oven to 425 degrees Fahrenheit, and insert muffin cups into a 16-muffin pan. Whisk together all the dry ingredients except chocolate chips in a large bowl until well-combined. In a separate bowl, mix together wet ingredients. Pour wet ingredients into the dry ingredients, stirring with a wooden spoon until they’ve barely come together. (Over-mixing is the downfall of many a muffin batter.) Add chocolate chips and stir only a few times. 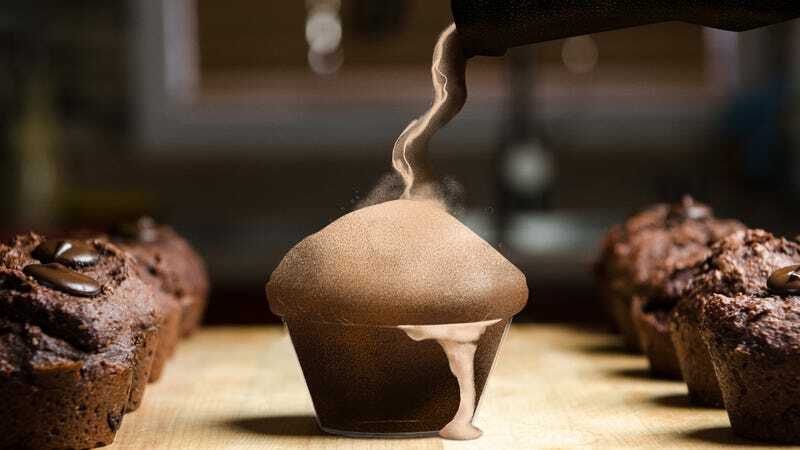 Spoon the batter into muffin cups until it reaches just the top of the paper. Bake for 15-18 minutes, or until a toothpick inserted into the center of a muffin comes out clean. Store in an airtight container. Makes 16 muffins.